While art and history usually drives most of my travel choices, I do like to eat well while I’m on vacation. The flavors become so linked to my memories that one good bowl of tzatziki sends me to the beach in the Southern Peloponnese or a perfectly crispy wienerschnitzel reminds me of the sunny little garden cafe filled with Viennese office workers out to lunch. I dream of recreating these things. I do my best to attempt them over the first month I’m home and then on other random weekends when I get a craving for proper Guinness stew. I couldn’t find one definitive Stuffed Mussel recipe so I decided to wing it having make Stuffed Peppers with essentially the same filling. I left out the pine nuts, used tomato paste when I should have used diced tomatoes (next time I’ll get it right…) and spiced with mint and nutmeg. It took a while to get all the mussels open and stuffed but then again I did make 4 dozen! 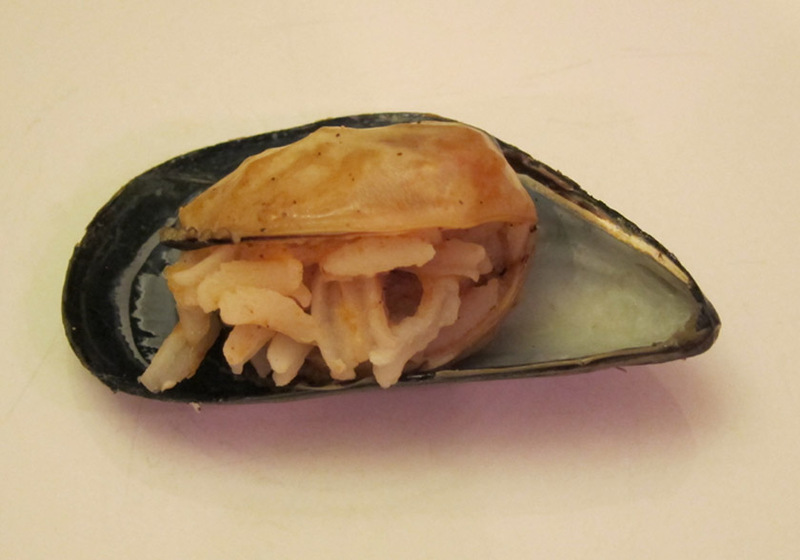 I actually had a lot more luck cutting the mussel hinge open to stuff them for what that’s worth. By all means find some way to stack and weigh down the mussels so they stay closed during steaming; it makes a huge difference! 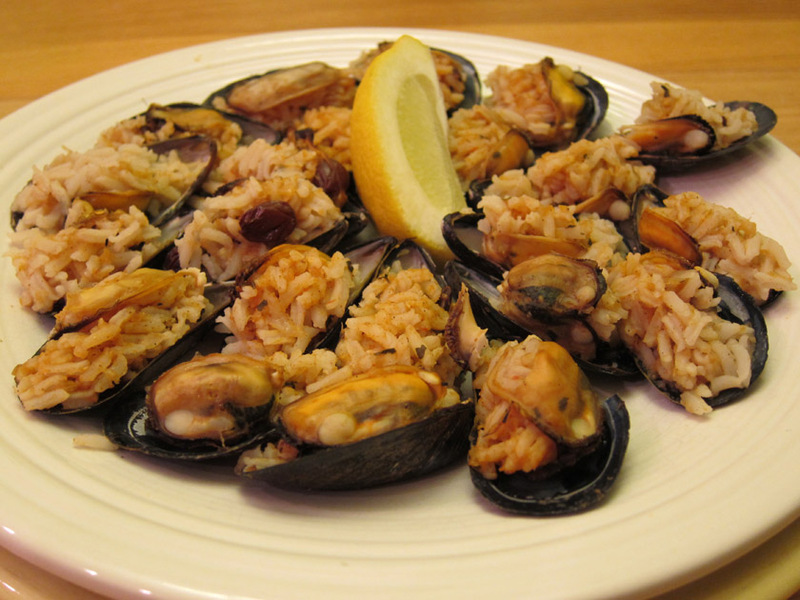 But there you have it – a full plate of delicious stuffed New England/Turkish mussels! Well worth the hour(s?) it took to make them! use a google translate if you stuck you can ask me. loves from Turkey. Teşekkür ederim! I am always looking for good recipes! 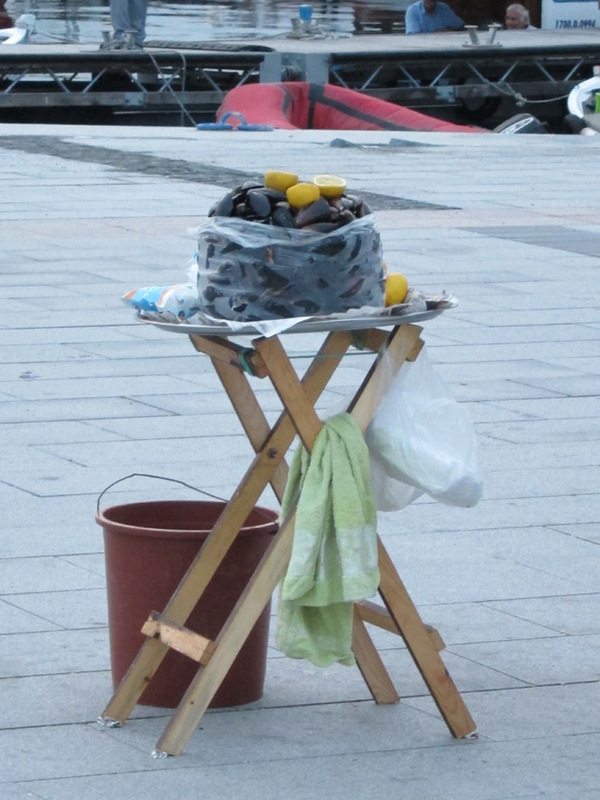 I tried the mussels street style after much reluctance (I will only eat mussels if they are hidden in a bowl of pasta) on my second drop in to Turkey (Istanbul) this year……….absolutely amazing :))) The food overall had the most amazing flavours I’ve ever tried. Cannot wait to return!